Classique & elegant. Crisp and fresh. Best buy. Crisp and fruity, soft, balanced finish. A great value. www.veuveduvernay.com. Alc. 11% by vol. 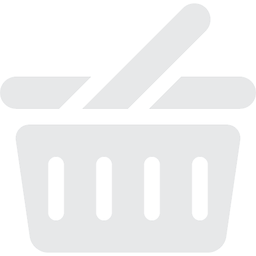 Imported by Patriarche USA, Miami, FL 33138. Produced in France. Classique & elegant. Crisp and fresh. Made with great care and using only the finest grape varieties. 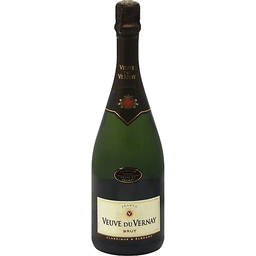 Veuve du Vernay Rose is a perfect treat as an aperitif or for dessert. You will enjoy its nice coral colour, fruity nose, and good length in the mouth. www.veuveduvernay.com. Alc. 11.5% by vol. Imported by Patriarche USA, Miami, FL 33138. Produced in France. Stylish and crisp, La Marca Minis make everyday sparkle! Extra dry. Alc. 11% by vol. Product of Italy. Established 1882. Methode champenoise. In 1882, three brothers, Francis, Joseph and Anton Korbel established the Korbel winery in California's Russian River Valley. Since then, Korbel has been honored to become America's best selling premium champagne. 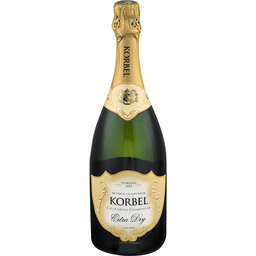 Light and crisp with spicy fruit flavors, Korbel Brut is the perfect champagne to toast all of life's moments. www.korbel.com. B.W. No 74. Dosage 1% by weight. 12% Alc. By Vol. Produced and bottled by F. Korbel & Bros., Inc., Guerneville, Sonoma Co., California. Made in USA. 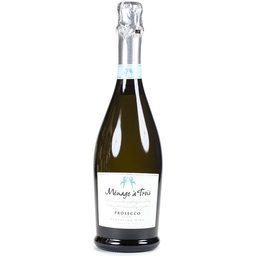 This fun-loving sparkler is fabulously fresh and flirty, with allowing floral aromas and crisp citrus flavors. Dry. Italian sparkling wine. Alc. 11.0% by vol. Produced by: C.V.M.B. s.r.l Salgareda - Italia. Product of Italy. Select cuvee. Est. 1980. For over thirty years, Piper Sonoma has crafted world-class sparkling wines from grapes ripened to perfection by the warm Sonoma sun. 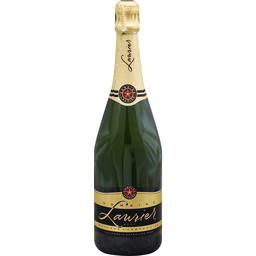 Made in the traditional method, our Brut is dry and smooth with a rich, creamy texture. Delicious on its own, it's also the perfect foundation for memorable mimosas and other classic cocktails such as our signature Sonoma 75. 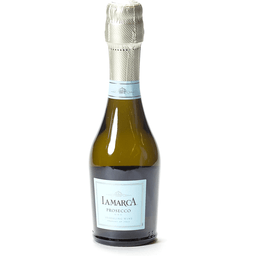 For sparkling cocktail recipes and entertaining ideas that turn any moment into a celebration, visit us at pipersonoma.com. Alc. 12% by vol. Produced & bottled by Piper Sonoma, Hopland, California. Charmat method sparkling wine secondary fermentation prior to bottling. Consistent quality, proven value. 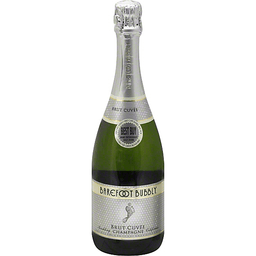 Most awarded sparkling wine brand in US competitions. Get barefoot and have a great time. This delightful pink sparkler is a beautiful addition to any occasion! Barefoot Bubbly Brut Rose is bright and vibrant, complemented by layers of delicate red fruit in the aromas and flavors. The light, lingering finish is perfect end to every sip. Gather friends and enjoy with your favorite cheese or great conversation. - Jen Wall, Barefoot Winemaker. barefootwine.com. Alc 11.5% by vol. At Chandon, we are true California sparkling wine pioneers. Founded in 1973 by Moet & Chandon, we draw on our French heritage and the innovative spirit of California to create sophisticated and vibrant sparkling wines that enliven all occasions. Taste Profile: apple, pear, smooth finish. Pairs with: seafood, salad, fruit tart. 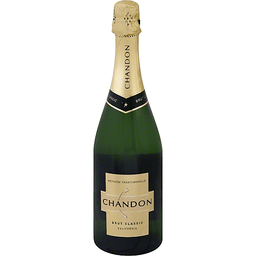 Visit chandon.com. Alc 13% by vol. Produced and bottled by Domaine Chandon, Yountville, CA 94599. Sparkling water & real squeezed fruit. Just sparkling water & real squeezed fruit. Contains 8% juice. No sugar added. 1% for the Planet member. Real fruit. Real good. 8% juice. Certified gluten-free. Cans: infinitely recyclable. spindriftfresh.com. 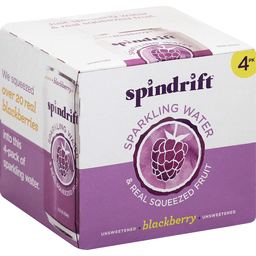 We squeezed over 20 real blackberries into this 4-pack of sparkling water. www.veuve-clicquot.com. Alc. 12% by volume. Product of France. By appointment to her majesty Queen Elizabeth in purveyors of Champagne. Since 1743, Moet & Chandon has been the world's most loved champagne. With a blend based on a predominance of Pinot Noir, Moet Imperial offers an exotic fruitiness, a generous palate and a confident maturity, revealing aromas of peach, pineapple and honey. Alc 12% by vol. Produced by Champagne Moet & Chandon, Epernay, France. Product of France.